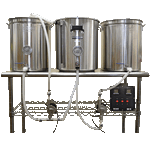 Let us build a complete brewing system for you, or just get the parts you need to assemble one yourself. 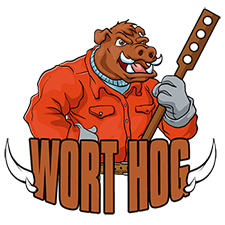 Our latest line of Wort Hog Electric Brewery Controllers will take your beers to a whole new level. 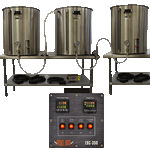 For information on electric brewing, click here. 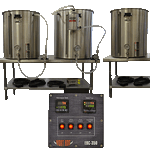 Browse these categories under "Brewing Systems"
Complete Electric Brew in a Bag (BIAB) Brewing System. 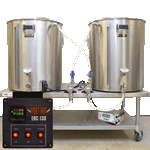 This is a complete HERMS system with customizable options. Click on Select Options below to put together yours. 2-Vessel 1 Bbl system. High Performance, Shorter Brew Day. 2-Vessel System based on 15 gallon vessels. Great for 10 gallon batches. High Performance, Shorter Brew Day. Let us build a controller for you, drill all of the holes, and put together a kit that you can assemble in an hour or so. 2-Vessel System based on 20 gallon vessels. Great for 15 gallon batches. High Performance, Shorter Brew Day. 2-Vessel System based on 30 gallon vessels. Great for 20 gallon batches. High Performance, Shorter Brew Day. 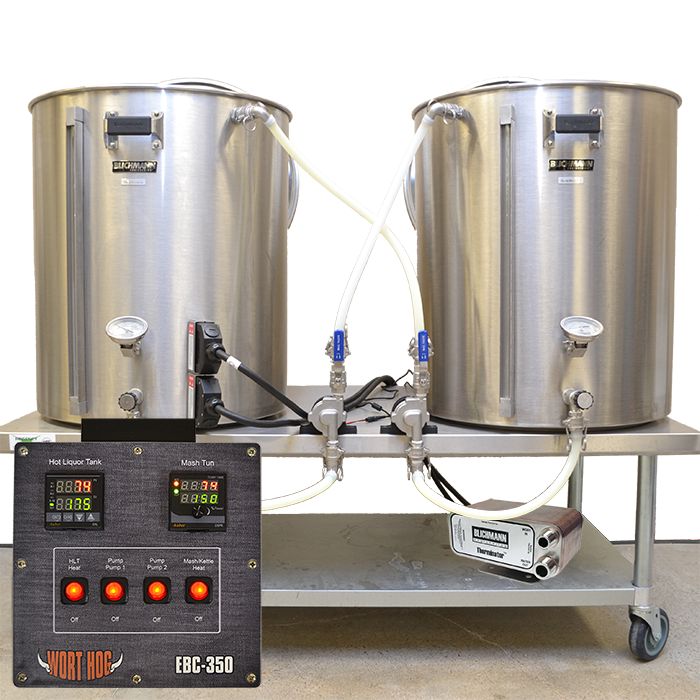 The BrewEasy is a revolutionary new ultra-compact and economical all grain brewing system. This patent pending system and process utilizes a two kettle recirculation infusion mash system called the Kettle-RIMS or K-RIMS process for short. 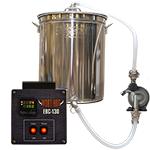 This system is very simple to use and is a very approachable way to transition from extract brewing into all grain brewing. Please note: Due to high Demand the BrewEasy systems may take up to 14 business days to ship.